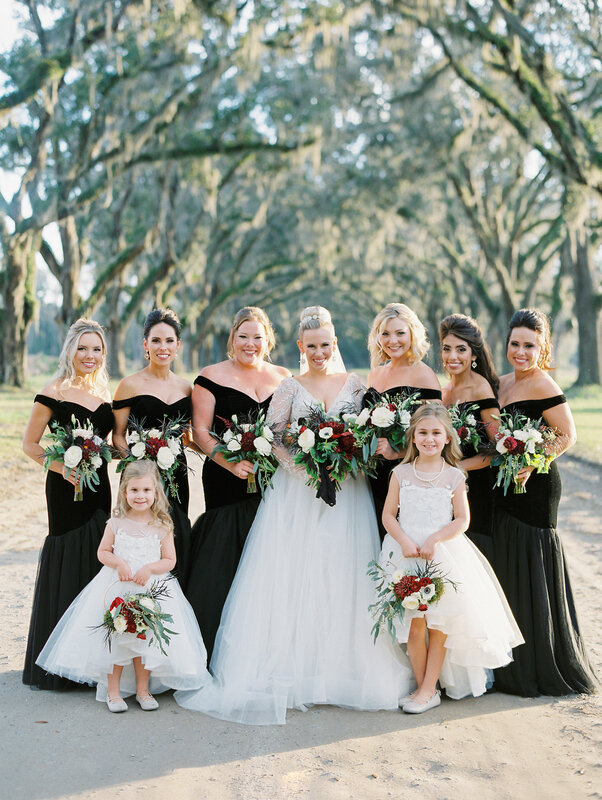 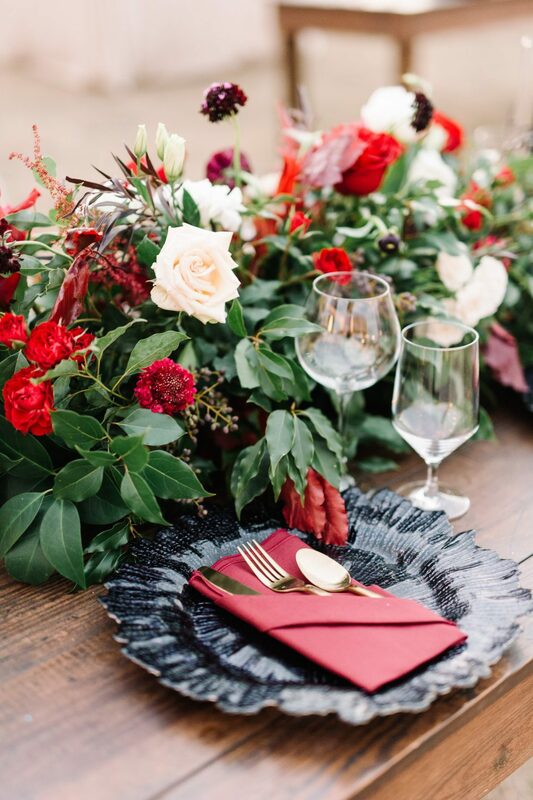 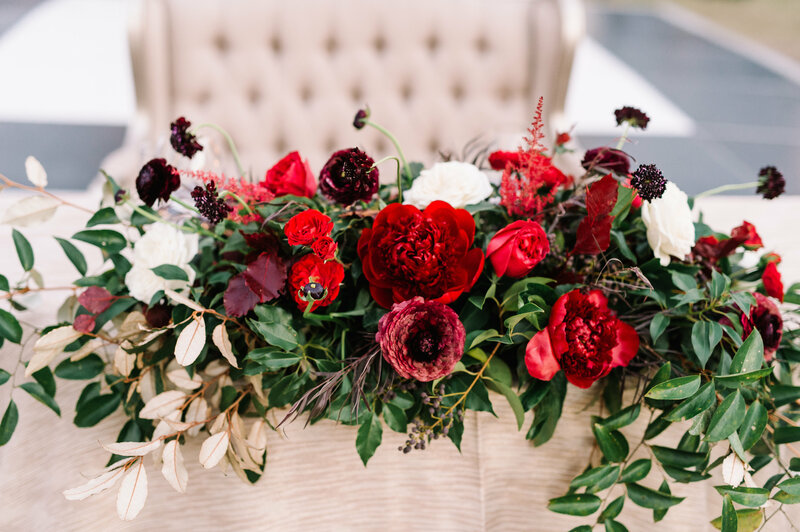 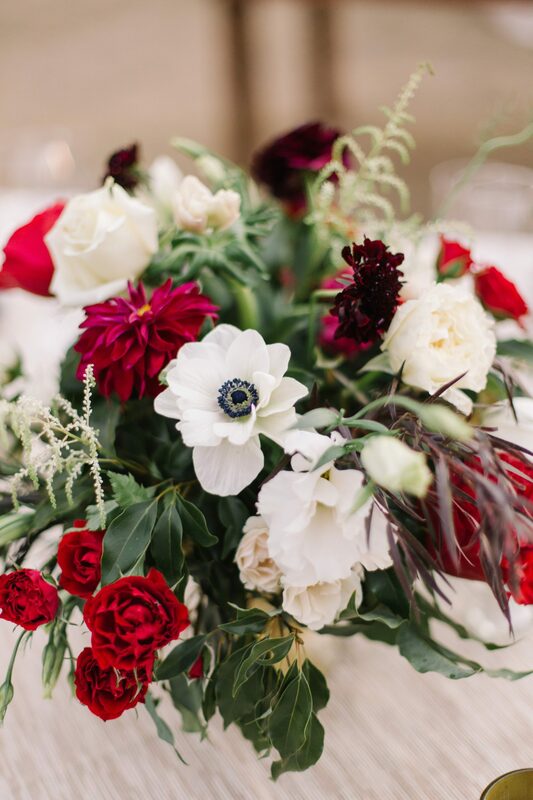 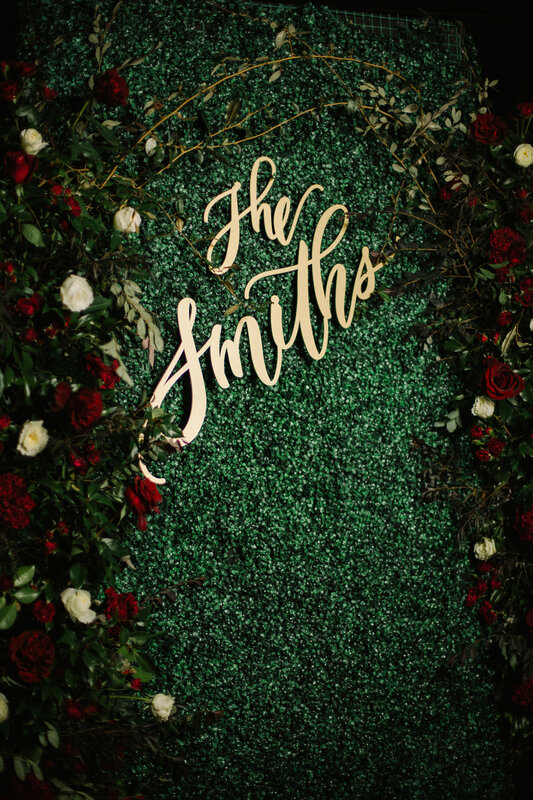 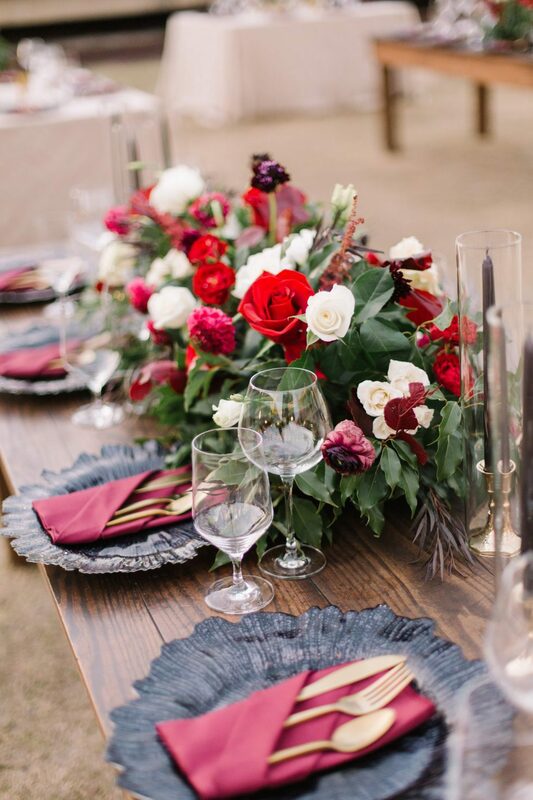 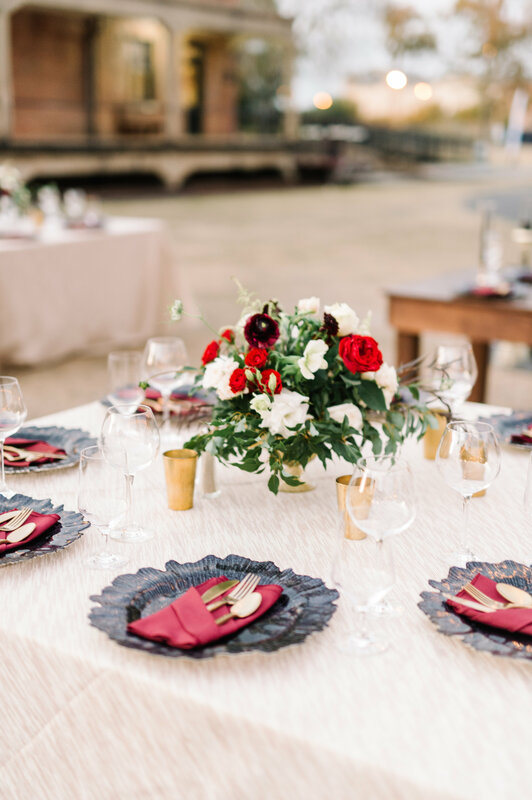 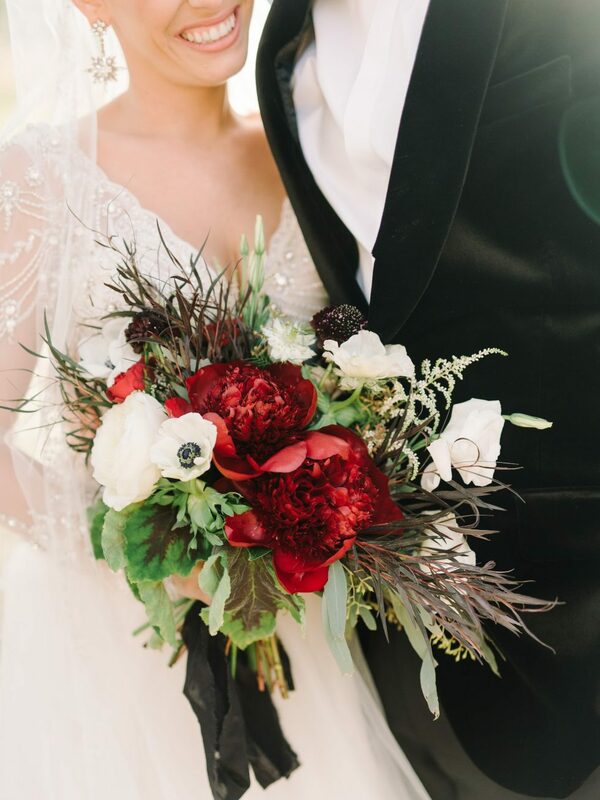 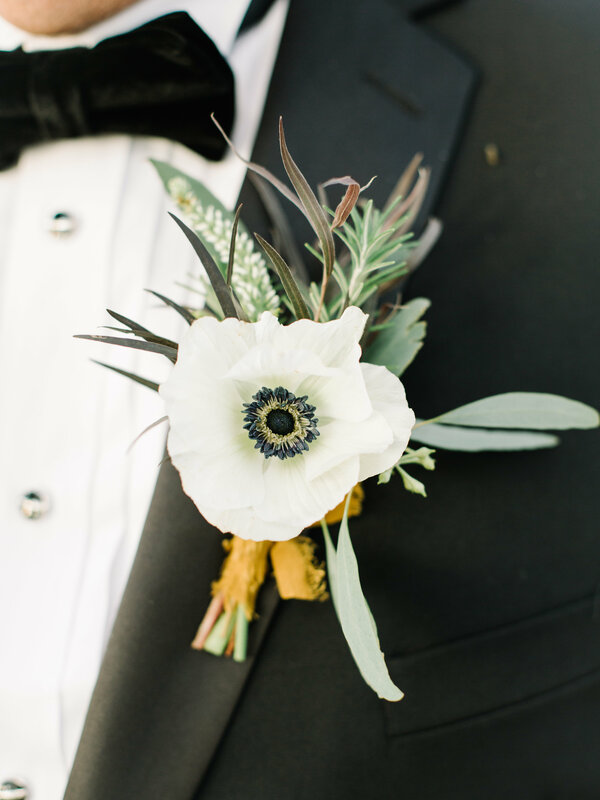 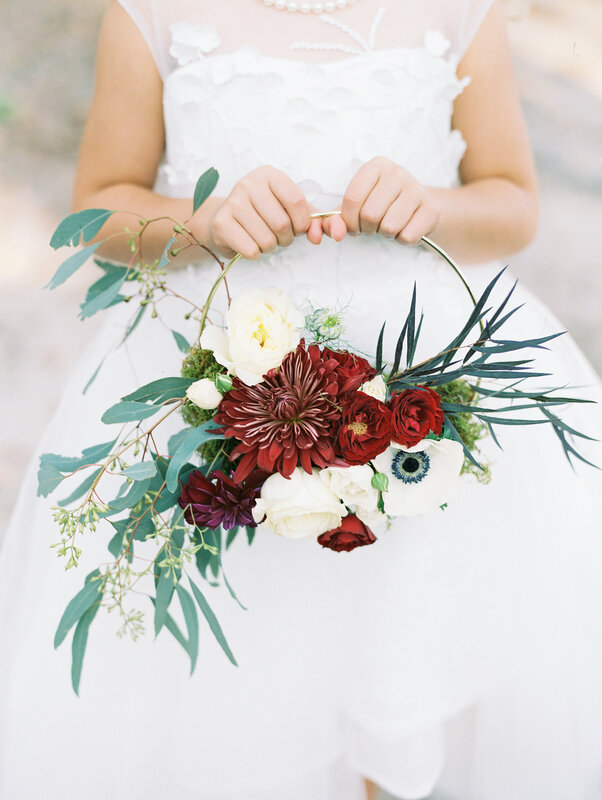 Gold, black, burgundy, ivory and darker greens covered almost every inch of this moody fete. 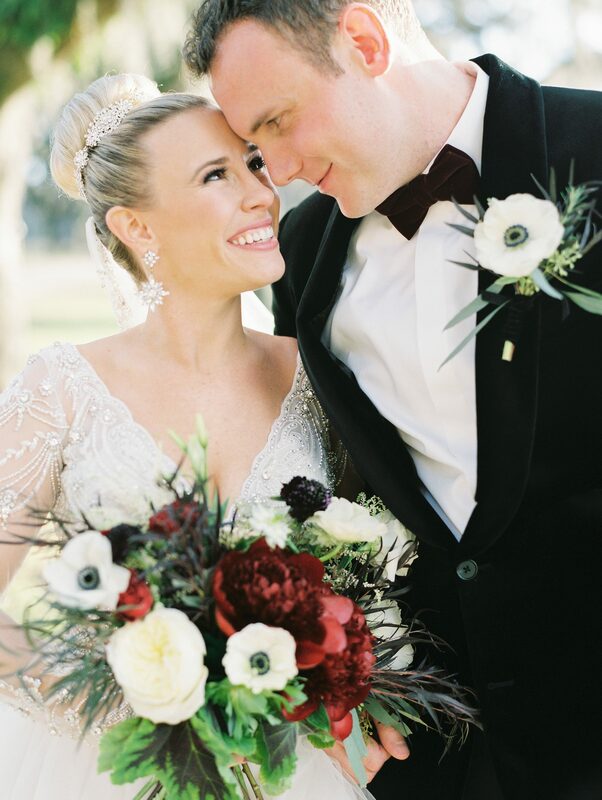 We of course fell in love with the couple’s style right away. 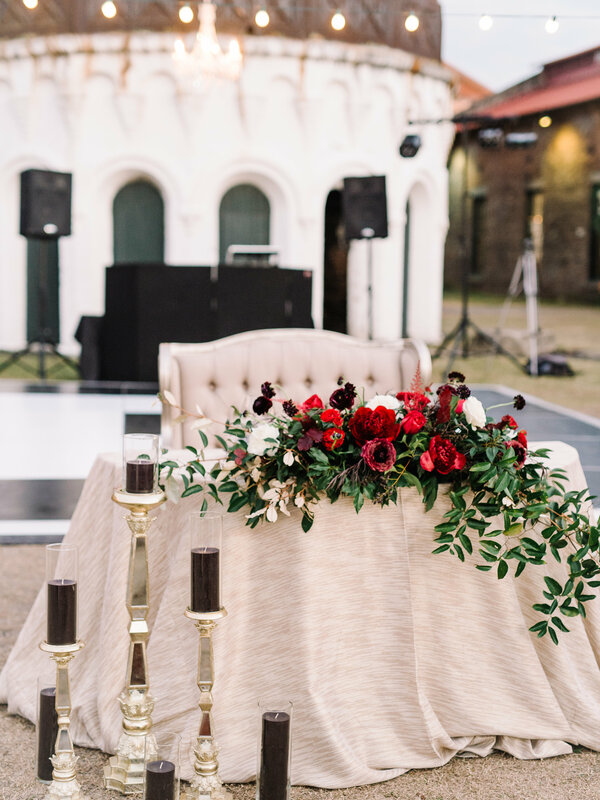 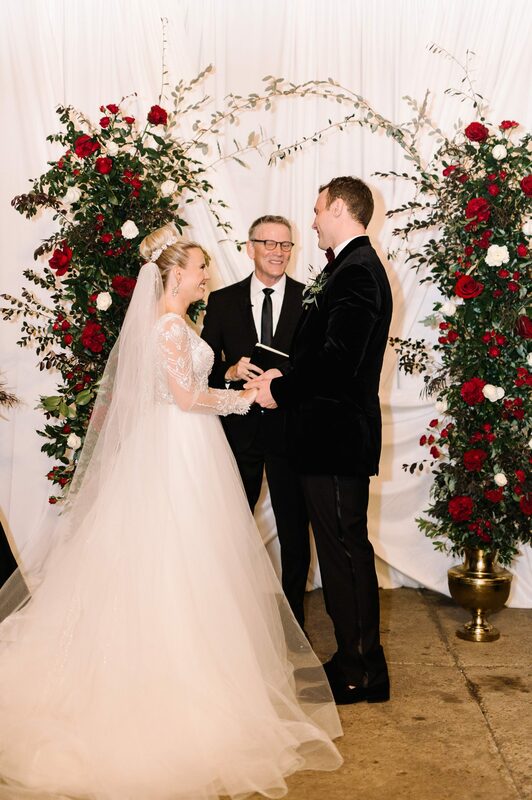 Black candles, large floral accents, and lush arrangements that overflowed onto the table tops set this event apart.